Paris is always worth a trip. Everyone should visit Paris at least once in their life! It doesn’t matter if you’re old or young, newly in love or married for thirty years, Paris is romantic, nostalgic and beautiful. Every year, thousands of couples celebrate their love in Paris, even if it’s only for a day or two. Plan a surprise trip to Paris, complete with a photoshoot! 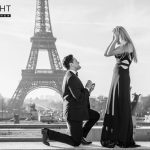 Paris is the city of love, thus it’s also the city of proposals. 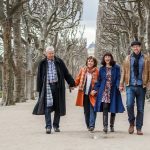 People from all over the world come to Paris to ask their partner to spend their life with them! Our photographers can document this moment for you. 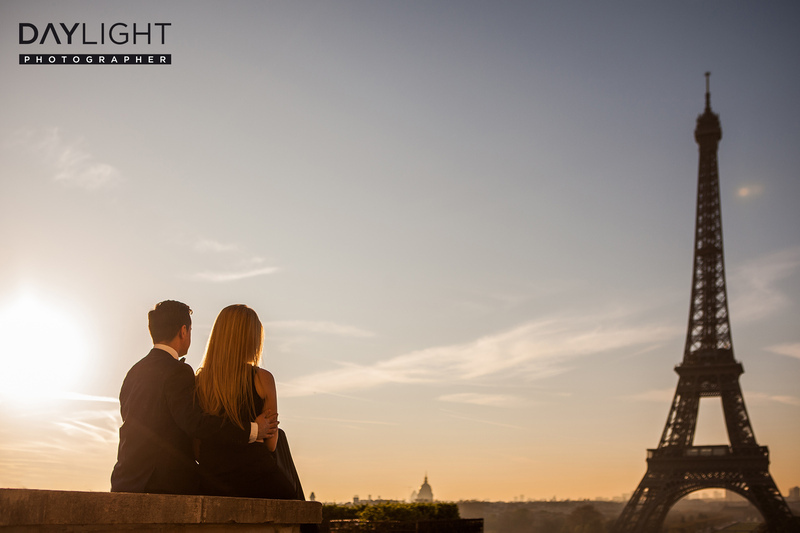 Daylightphotographer plans photoshoots in Paris, especially at the Eiffe Tower and on the banks of the Seine. During one and a half hours, you’re the star: our photoshoots are relaxed, funny and dynamic. Every couple is unique. Our photographers try to get a feel for you, because your photoshoot is meant to represent you. Sometimes it’s almost as if our couples forget that they’re being photographed; they’re lost in the moment and their love. You can book one of Daylightphotographer’s photographers any day of the year. But watch out, some dates are snapped up very quickly! The early bird catches the worm: book your photoshoot now.